“Branding for Etsy” Workshop – Tickets on Sale Now! Branding your Etsy shop is one of the keys to being a successful Etsy seller. Draw shoppers into your products with beautiful design that showcases your personality and the personality of your products. 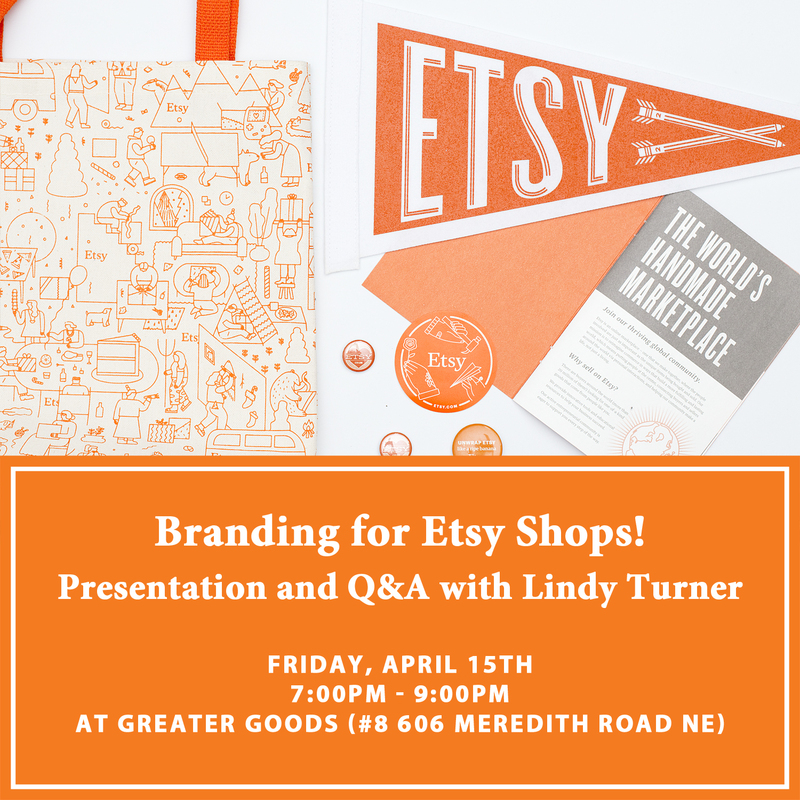 Led by expert Etsy seller Lindy Turner, this two-hour workshop will guide you through developing your own brand and how to integrate it into your Etsy store front. This is a great workshop for those who are new to Etsy or those just looking to delve deeper into how branding can impact their shop in a positive way. And don’t forget, as of April 5th, Etsy’s new shop design goes live! Lindy will show you how to update your branding for the new layout, too! We encourage you to bring your laptop or tablet with you to follow along! Watch Etsy Calgary on CTV Morning Live! If you missed catching us on CTV Morning Live this week, be sure to check out the clip below to see all the great wedding-themed items you can find from local Etsy sellers. You can also watch it directly on CTV Morning Live’s website here. A Second Time: beautiful engagement rings and wedding bands. Ruffles Bowtique: adorable bowties for ring bearers. Boutique Juju: elegant hair pieces & matching clutch. Crowns and Lace: whimsical flower crowns. Broken Ghost Clothing: rustic chic personalized wrapped hangers. Salt Water Tea: stylish matching arrow necklaces for bridesmaids. JB Leather Supply: vegetable tanned wallets for groomsmen. Kiwi Tini Creations: tasty s’more flavour bags, adorable gift boxes, and paper stick place-markers. Dog Cake Topper: cute personalized dog cake toppers. Dixie & Twine: sparkly cake toppers and signs, personalized straws. Little Me Paper Co: sweet hand-drawn and personalized wedding stationery. It Looks Like Love: fun and customizable printables for signs & games. Prettiest Silhouettes: unique portraits of the happy couple. YYC Tea Wagon: personalized and sweet tea tin favours and gifts. Be sure to check out their shops for more wedding and party ideas. The beauty of Etsy is getting something custom, just for you! Whether is be a wedding, a vow renewal, or a commitment ceremony, your local Etsy sellers have got you covered! Look for Jillian Logee tomorrow on CTV Morning Live in Calgary for a peek at all the great things you can find to add those perfect personal touches to your big day! Want to pre-shop the spot? Check out the featured Etsy sellers below! “Start Selling on Etsy” Workshop – Tickets on sale now! 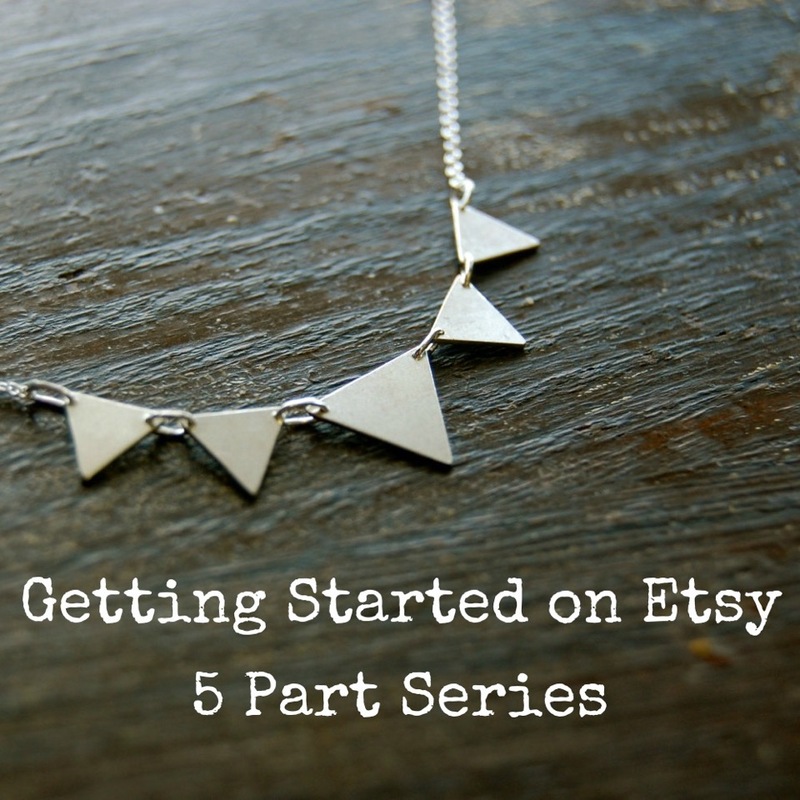 This “Start Selling on Etsy” workshop will walk you through the basics of the platform. 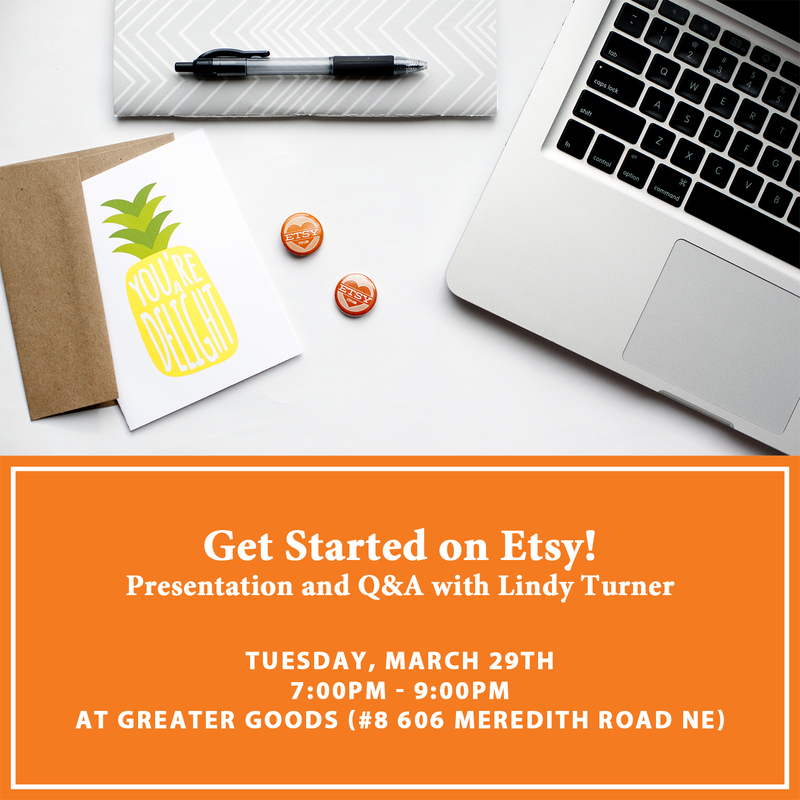 Led by expert Etsy seller, Lindy Turner, you will learn the top tips and tricks to becoming successful on Etsy, from properly tagging your items to taking great product photos. To get the most of this presentation, start your shop prior to the workshop! Visit https://www.etsy.com/promotions?promotion_code=MakerCities and enter the code MakerCities and you will receive 20 free listings when your Etsy shop is opened. Your shop must be new to redeem this code. Don’t worry about making your shop perfect – you can keep your store in “Draft” mode until the workshop. All you need is your shop name picked out to redeem the promo code!